Refrigerator is one of the most used appliances in the home. It helps a lot in ensuring the smooth running of the household. It works 24 hours a day and therefore is likely to develop problem than other appliances. It is very important to be acquainted with the common signs that your refrigerator need repair. If you do not discover these signs on time, you might end up with a much bigger problem of getting a new one which will definitely cost you more. 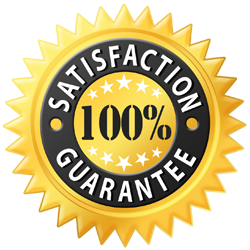 Some people find it difficult to repair their refrigerators because there are no trusted and fast refrigerator repair service company that can efficiently handle the repair of their refrigerator. 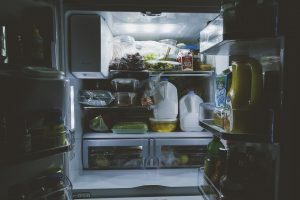 As a result, they leave their refrigerator to develop a more serious problem or break down completely. Phoenix refrigerator repair is a fast and reliable refrigerator repair service team. We have well trained expert technician that are experienced in the repair of all models of refrigerator. We will be discussing briefly some common signs that help you know that your refrigerator needs repair. The knowledge of these common signs will help you manage your refrigerator to help it last longer for you and help you save cost. It is normal to see water in your fridge however, lots of water at the bottom of your refrigerator is not a normal sign. It is an indicator that the unit is leaking. You have to however, ensure that the water is not as a result of water or liquid kept in the fridge. You can contact the services of phoenix refrigerator repair to help you fix this problem before it damages the whole system. Whenever you notice a clicking loud noise from your refrigerator, it could be as a result of faulty compressor. It is dangerous to neglect this danger signs, contact the services of phoenix refrigerator team to put it in order so your refrigerator will function at its maximum capacity. Some people might be forced to neglect the sound since the refrigerator will still be functioning. You are indirectly sending your refrigerator to an early grave and you might have to pay for it heavily on the long run. If you notice that your refrigerator is not cooling properly it could be that the refrigerant is finished and need to be refilled. However, it is not advisable for you to conclude on that because it takes a professional to detect the exact cause. You can call on phoenix refrigerator repair service company to help you figure it out. A faulty compressor can make your refrigerator not to be functioning even when the light is on. It is however wise to call on professionals like the phoenix refrigerator repair service company to detect the exact cause and put it in order. 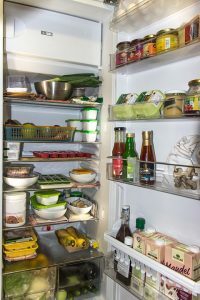 Constant running of your refrigerator could be as a result malfunctioning of the cooling system or incorrect thermostat. Whichever one, it takes a good professional to detect the actual cause and put it in place. This might look insignificant but excessive frost in the freezer could be as a result of faulty compressor or a problem of the refrigerant. It is not advisable to neglect this sign as it might result to your fridge breaking down. Repairing your refrigerator is always cheaper than getting a new one. Also repairing little issues will prevent the occurrence of a major problem. Appliances require constant services and proper care to be able to function properly. It is also important to know how your refrigerator functions to be able to detect any malfunctioning easily. Always remember that phoenix refrigerator repair Service Company is always ready to give you a breath-taking service. Their refrigerator repair team are well trained and experienced to repair your refrigerator without causing more havoc.